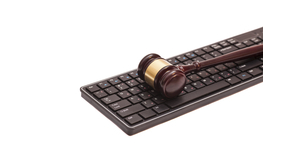 In 2012, the ABA adopted an amendment to ABA Model Rule of Professional Responsibility 1.1, comment 8, providing that “a lawyer should keep abreast of changes in the law and its practice, including the benefits and risks associated with relevant technology . . . .” See ABA, Commission on Ethics 20/20 Resolution 105A (August 2012). Since then, twenty-seven states have officially adopted Comment 8 as part of their rules of professional conduct. To maintain the requisite knowledge and skill, a lawyer should keep abreast of changes in the law and its practice, including the benefits and risks associated with relevant technology, engage in continuing study and education, and comply with all continuing legal education requirements to which the lawyer is subject. See In re Petition to Amend Selected Provisions of Tennessee Supreme Court Rule 8, No. ADM2016-01382 (filed March 6, 2017). Given the importance of technology to a modern lawyer’s law practice, all states should follow suit. Robert Ambrogi at LawSites blog keeps a running list of state adoptions of this technological-competence principle.